They eat everything and they breed like cockroaches. If a fish can fit in its mouth, we’ve found it in the lionfish’s belly. As a result, the lionfish invasion – combined with climate change, overfishing, siltification, and pollution – is speeding along the destruction of Caribbean reefs. As a scuba diver, I’ve seen this damage myself. Between 2006 and 2010, I was able to see the changes caused by the arrival of lionfish in Honduras’ Bay Islands. Small fish, such as gobies, hamlets, and fairy basslets clearly declined in abundance. Also, I couldn’t be sure, but it did seem like there were fewer juvenile snapper. But of course, I could also strangely marvel at the invasion. The lionfish are beautiful; their long plumes fanning in the currents, their utter confidence that you can do them no harm as you approach. I would think sometimes that my enjoyment was something akin to admiring a fire as it consumes my own home. And just as strange, after years of teaching divers to respect the reef creatures, there I was pointing out the lionfish to my divers and then asking our assistant to spear the creature as part of the on-going eradication efforts. 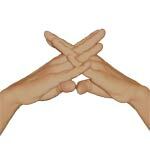 Eradication, however, will only ever be an aspiration unless we find more effective methods. The marine park manager in Roatan explained that his hunters could only go down to recreational limits (130 feet) while lionfish range much deeper. And their regular breeding means that hunters simply can’t keep up. For example, just recently in the Florida Keys, a derby yielded 531 lionfish catches, and the fishermen remarked that they were more numerous and bigger than ever. What else can be done? Some conservationists in Honduras are trying to teach native sharks to feed on lionfish, but there are doubts to the practicability of this technique. Even if it works, a vast number of reef sharks would need to be conditioned since most live within small territories. In my own opinion, I think we just haven’t found our solution yet. I wonder if perhaps there would be an opportunity for specialized traps or fishing gear to “tame” the lionfish. This might take some investment, but perhaps we might have the market someday on our side. 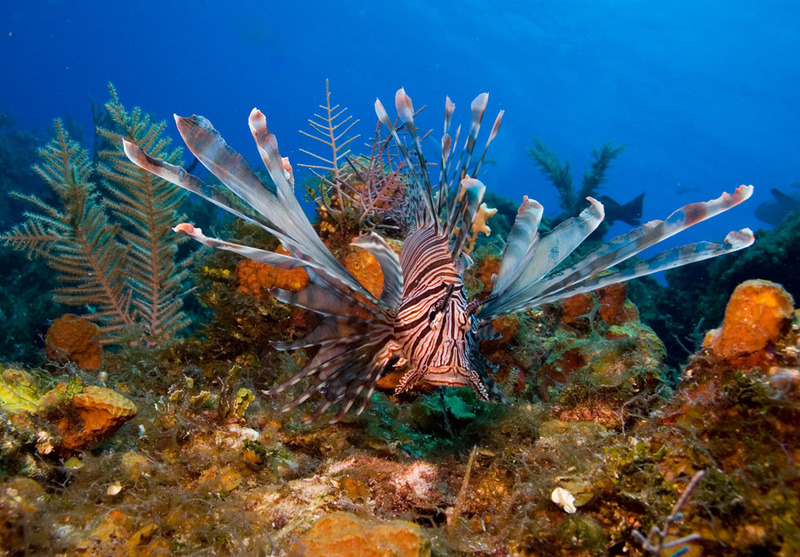 Lionfish apparently make delicious meals and consumer demand is growing in the Caribbean. On a menu near you soon?